Patent war is not something new. Motorola vs. Apple is not new as well. 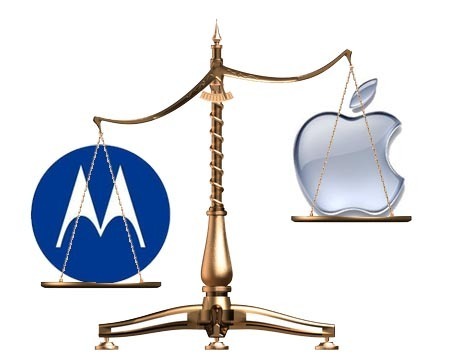 As for now, patent war continues and it continues between Apple and Motorola again. Three Apple patent infringements were set aside this week by the International Trade Commission, claiming against rival smart phone maker Motorola Mobility. The company which owns a vast mobile industry patent portfolio was accused by Apple of infringing three patents, including two that cover touch screen technology. Though, Apple lost a ruling in its efforts to block imports of Motorola Mobility. A Motorola press release notes that the Administrative Law Judge ("ALJ") in the US International Trade Commission ruled in favor of Motorola Mobility, finding no violation for any of the three Apple patents listed in Apple's suit. The ALJ found no violation for any of the three Apple patents listed in Apple's suit. Motorola's senior vice president and general counsel said: "We are pleased with today's favorable outcome for Motorola Mobility. Motorola Mobility has worked hard over the years to develop technology and build an industry-leading intellectual property portfolio. We are proud to leverage this broad and deep portfolio to create differentiated innovations that enhance the user experience." Apple’s defeat at the hands of an International Trade Commission (ITC) this past week now stands on the record. Generally ITC rulings are important because it may impact the import/export of products into various countries. Although, they are so long-drawn-out, offending companies manage to modify their products to escape a sales ban.